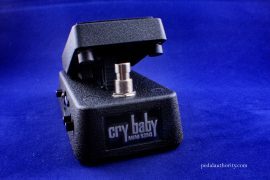 Wah pedals typically provoke thoughts of Hendrix, Clapton, Hammett, and numerous others who have relied on the expression pedal for some of their most, well, expressive moments. 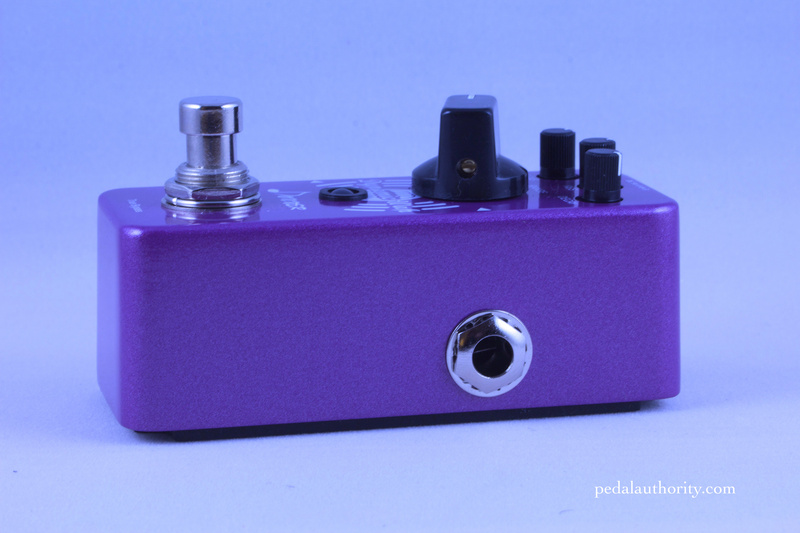 But what about the wah’s half-sibling, the envelope filter, aka autowah? Envelope filters are based on the same design as traditional wah pedals, but lack the rocking, expression pedal function. Just to be clear, a traditional wah pedal is essentially just a filter control designed in such a way that the filter knob can be turned without the use of one’s hands. 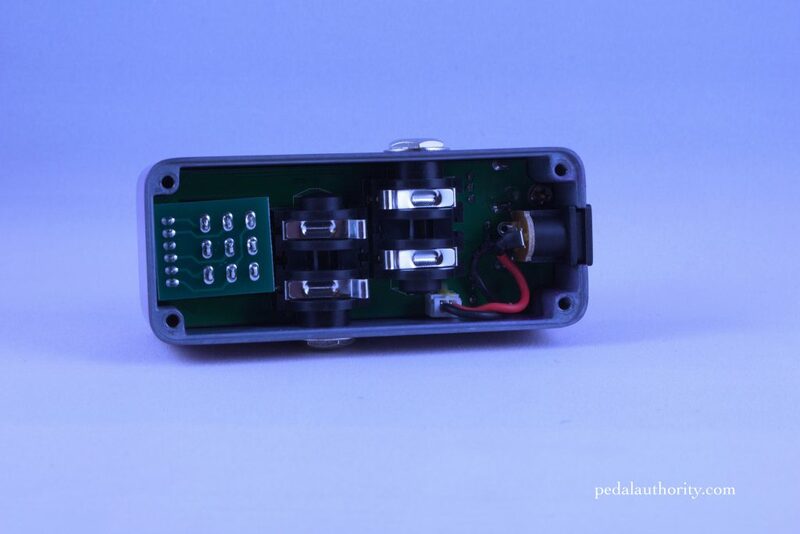 Open up any typical wah pedal and you will see that the whole rocking mechanism functions to turn the filter knob up and down. To reference a completely different style of music, this basic filtering action is also an important function in electronic music, and indeed much of what an EDM producer does live involves manipulating filters to alter the sound and overall affect of the music. Note that people who play “traditional” instruments, like the electric guitar (if you can call something that is less than 100 years old traditional) are known to mock electronic musicians, saying that they “just turn knobs,” yet these electric guitar players don’t bat an eye when a famous guitarist clicks on their wah pedal (unless that guitarist is Kirk Hammett, in which case the jury is pretty evenly divided). So let’s take a second to appreciate that we are not so different from one another…we’re all just trying to make cool sounds and have as good a time as possible. Now that we’ve got that out of the way, let’s get back to envelope filters. Envelope filters, in the context of guitar pedals, essentially take the circuit of a traditional wah pedal, remove the rocking “expression” mechanism, and add controls for parameters like sensitivity/attack, decay, range, decay, sustain, and other such things related to sound envelopes. What you end up with is a device that is perhaps ambiguous in intention, yet versatile in function. 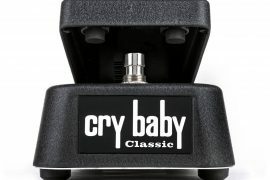 Many such pedals were initially marketed as “auto wahs,” indicating that the pedal would essentially take care of the foot rocking motion for you and you could just focus on your playing. This was met with resistance (surprise) from wah purists who insisted that by automating the filtering process you lose the expressive quality that has become characteristic of the traditional wah sound. Fair enough. 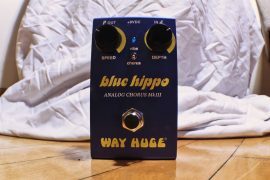 If what you are looking for is the ability to shape your tone in real time, the expression pedal variety of wah is what you are after. However, if you like that a wah pedal brings the possibility of envelope filtering to the world of live guitar playing, but you would like to have more control over the parameters, and want a consistent envelope response (you can only be so consistent with the rocking of your foot), then you are going to want to check out what the world of envelope filters has to offer. Traditionally used in funk and funk-like contexts, envelope filters are well suited when it comes to rhythm playing, where consistency of attack can be paramount. A popular, funk-like example can be found during the verses of the Red Hot Chili Peppers tune “Dani California.” (John Frusciante used a Moog MF101 Moogerfooger to replicate this studio-produced sound live). We are very familiar with some of the more expensive (Moog) envelope filter pedals, and studio plugins, but realize that most guitar players are probably not going to want to shell out huge amounts of cash for an effect that they will only use sparingly, so we went on a hunt to find a well-designed, good sounding envelope filter that could be had for a reasonable price and that ideally would not take up as much space as a modular synthesizer. We like what Donner has been doing for the mini pedal market and decided to take their offering for a spin. Sens: controls the sensitivity of the effect. 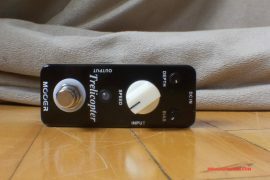 This pedal responds to the dynamics with which you play, so with the sens knob turned down, you will have to attack the strings harder to open the filter. Turn up the knob and the filter becomes increasingly sensitive and will open with less attack. 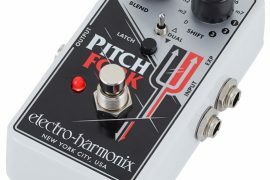 Setting this knob anywhere past the 3:00 position will help give you a pretty regular auto-wah type of sound as the filter opens as a result of most, if not all, of each of your pick attacks. Res: controls the resolution, or overall quality of the sound, or sharpness of the filter. The higher you turn the knob, the sharper the filter becomes. Decay: allows you to adjust the amount of time it takes for the filter to close once it has been opened. 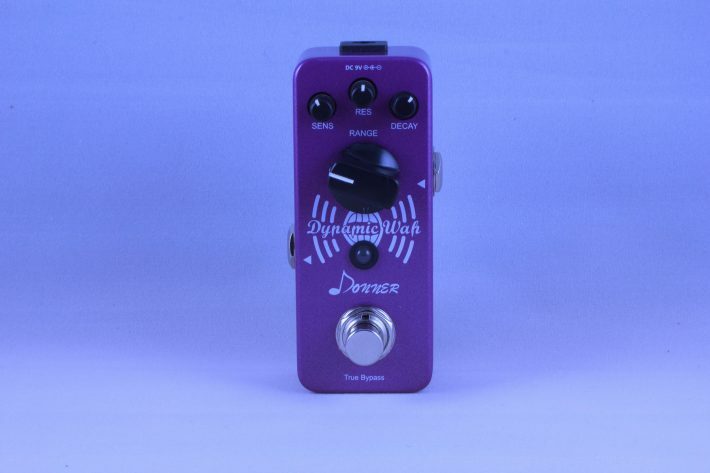 For the typical voice-like effect you get from rocking a traditional wah pedal back and forth at a pretty frequent rate, turn the decay knob down. As you turn the knob up the decay time becomes longer, meaning that more of the higher frequencies can pass through. Note that the decay and sens knobs work together, given that the sens knob controls the attack, and the decay knob deals with the decay. Thus, the ratio between these two knobs will determine the overall shape of the envelope. More of a synth-style application of this effect is to set the decay high and the sens high as well so that the filter only closes when you stop attacking the strings. 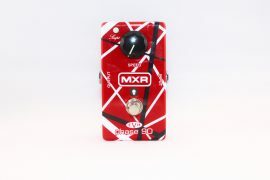 This creates an interesting “growl” effect as the filter slowly closes while you sustain a note or chord. Experimentation is key when it comes to getting some of these less traditional effects, but this pedal makes it relatively easy thanks to the design and layout of the controls. Range: determines the width of the pedal’s frequency span. 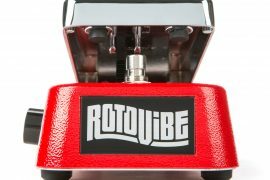 In relation to a traditional wah pedal, think of this as the sweep from heel to toe. Another way to think of the range control is how wide the filter opens. Turn this knob down for less range, up for more. 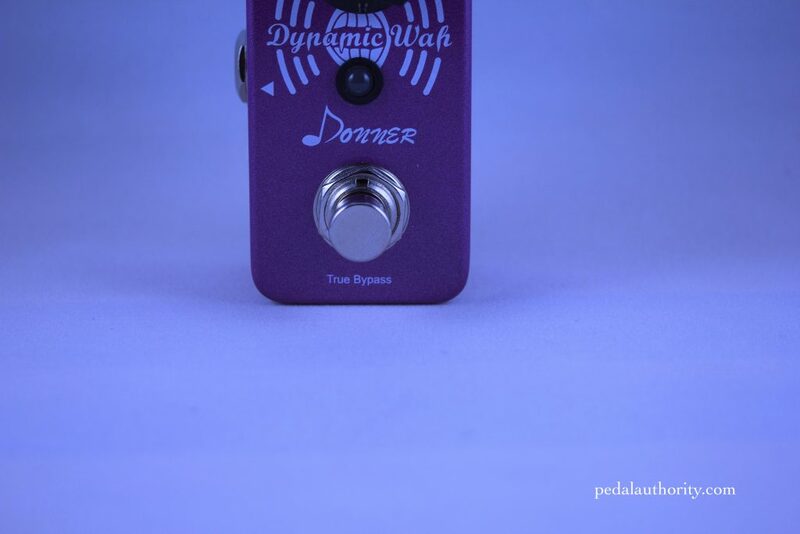 The Donner Dynamic Auto Wah Mini is a fun and useful modulation effect, good for automating traditional wah sounds, as well producing as more synth-like effects. The controls are sensitive and span wide spectra of control. 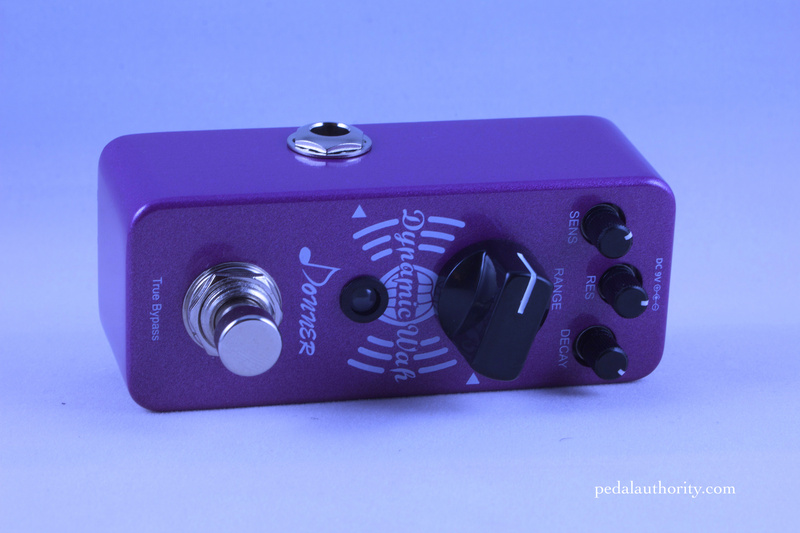 About the size of a pack of gum, and priced around the cost of a few drinks, this pedal is hard to pass up. If you are cramped for space on your board, but want to add a little extra modulation to your setup, you could do a lot worse than this convenient and versatile pedal.